Braces are expensive, and it’s tempting to try different ways to lower that cost. 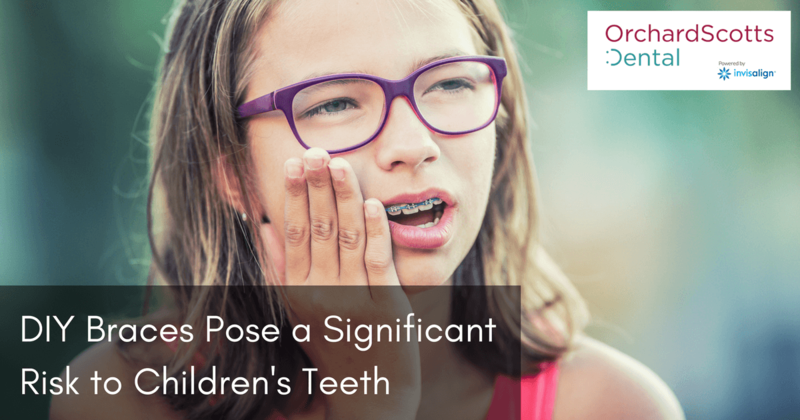 However, according to Global News, DIY braces are not a safe or acceptable way to cut costs when it comes to children’s teeth— or even those of adults. What exactly are DIY braces? They range from alternative correction systems that look like the real thing, to self-created braces made of paper clips, earring backs, rubber bands, and other items. People can find YouTube videos detailing how to fashion the DIY braces for themselves or for a child. The Canadian Association of Orthodontists was one of the first to sound the alarm about the negative impact of DIY braces. They warn that these so-called money-saving systems take advantage of cash-strapped parents who are trying to save money while fixing their kids’ crooked teeth. Instead of helping the situation, the DIY braces can actually do lasting damage. In February of 2017, the American Association of Orthodontists (AAO) also noted the rise in DIY braces. Thirteen percent of AAO member orthodontists reported seeing one or more patients who had tried to make or install their braces themselves. If the elastic stays at the tooth’s root, it can cause gum disease, bone loss, and even the loss of the entire tooth before the child or teen realises that something is very wrong. Other types of DIY braces can damage enamel, inflame the tissue, or cause gum disease because of trapped bacteria buildup. Do you know anyone in Singapore who has attempted self-made braces? Take time to warm him or her about the potential harm that DIY braces can do. Instead of trying to cut corners for your own oral care or your child’s braces, visit Orchard Scotts Dental. We have some of the most experienced dentists in Singapore on our team, and we’re happy to figure out a payment plan that works for you. Remember, your child’s smile is an important part of his or her life, both personally and professionally. Correcting and caring for that beautiful smile is an investment worth making.